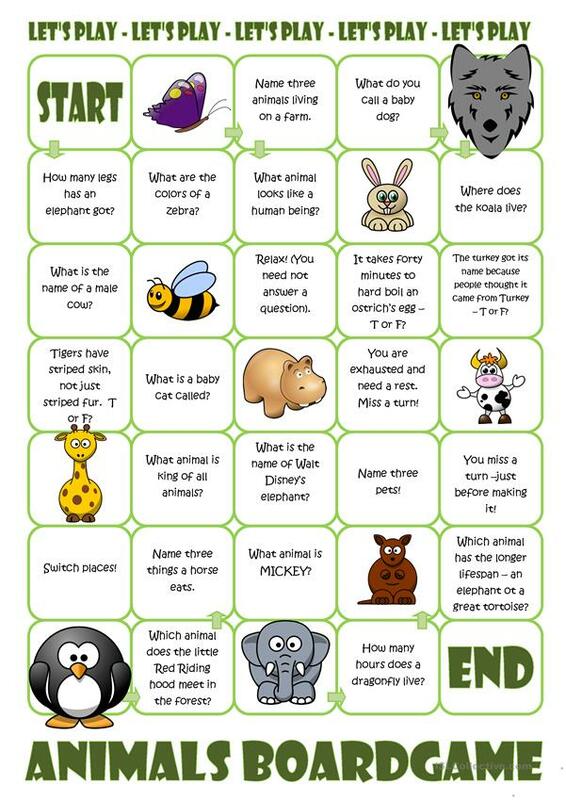 Use the board game to revise ANIMAL vocabulary. Pictures and questions make up the game. The above downloadable teaching material is intended for high school students and elementary school students at Beginner (pre-A1), Elementary (A1), Pre-intermediate (A2) and Intermediate (B1) level. It is excellent for working on your students' Listening, Speaking and Reading skills. It features the theme of Animals.